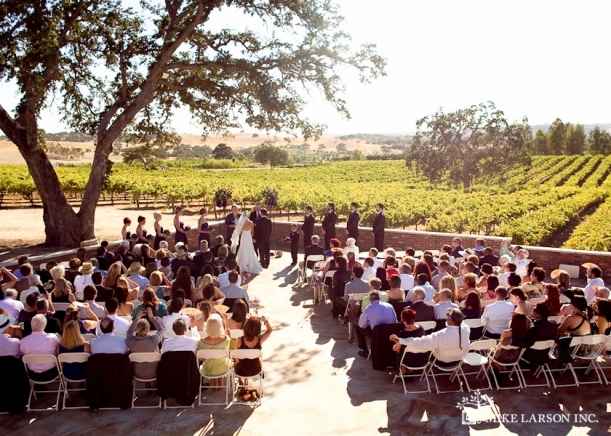 Start as early as 10 a.m.
Tucked among the vineyard covered hills of Paso Robles, Robert Hall Winery is one of Kramer Entertainment’s favorite venues. It’s not just the wine that makes us love this venue, but the options. Located in a gorgeous brick building surrounded by oaks and overlooking a vineyard, Robert Hall offers 3 different ceremony/reception locations. 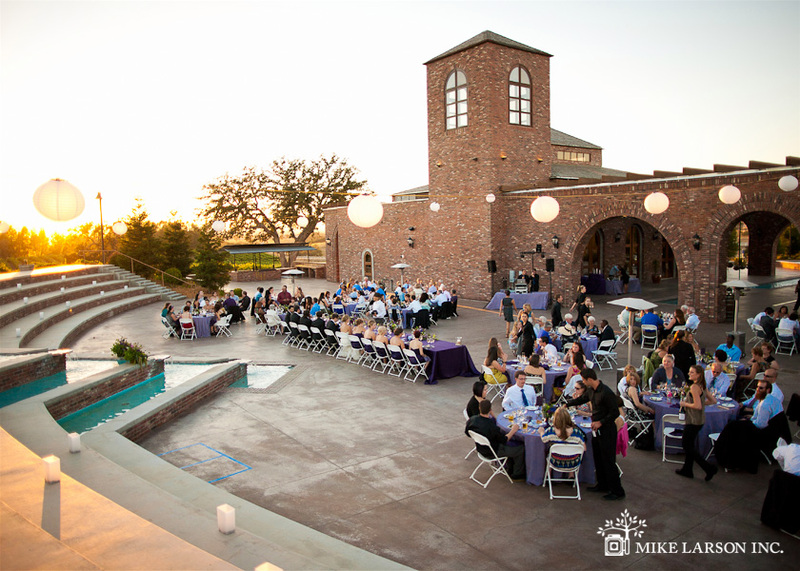 Couples have their choice of a ceremony underneath an oak, on a brick patio complete with fountain, or in Robert Hall’s wine caverns. Receptions can also be held in Robert Hall’s indoor ballroom, the meritage room. Of course, Robert Hall also offers all the amenities a bride could need along with amazing customer service. See more of Robert Hall Winery below in the slideshow. Photography by Mike Larson.